The celebrations for the 150th anniversary of Florence Capital of the Kingdom of Italy (1865-2015) constitute an opportunity to know and appreciate the voices of the two precious organs preserved in the basilica of San Lorenzo (the Serassi was inaugurated for that �historical event), and the music composed by musicians active in Florence. The organ built by Fratelli Serassi in 1864 is one of the most impressive of his time: with more than 60 registers and three keyboards, it is a unique and extraordinary organ. The other Renaissance organ dates back to the mid 15th century and expanded in the 16th and 18th centuries. 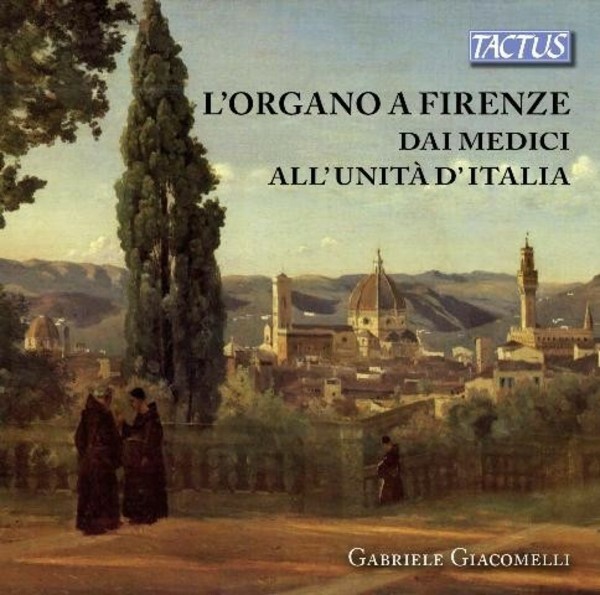 The recording includes works from the Renaissance up to Classicism and Romanticism, among which many are premiere recordings, mostly coming from libraries and archives in Florence.